Ask your class to guess what’s missing on this face…eyes in place, nose centered well. They’ll guess right…a smile is missing on this face! 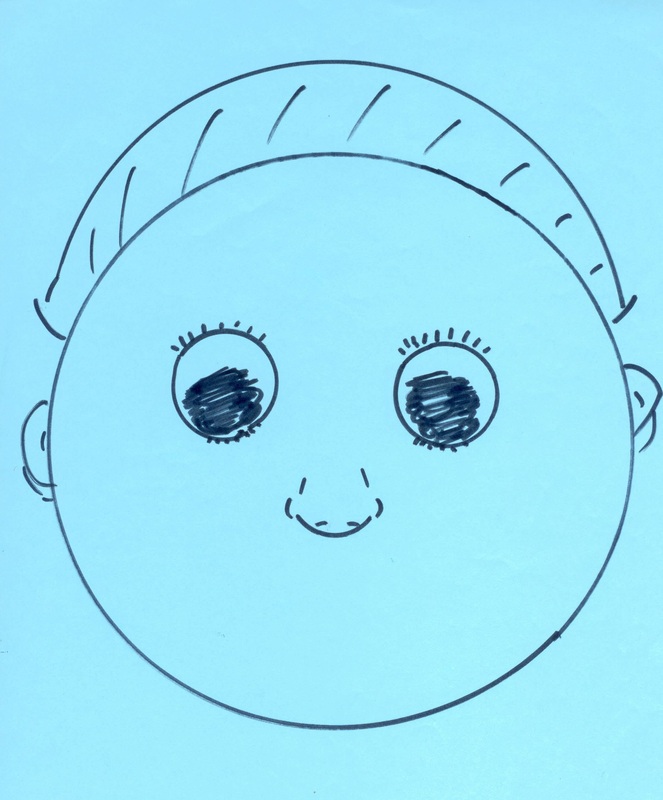 Play a quick guessing game in your class by popping up a picture of a face with no smile. Answer: World Smile Day, last Friday, October 7. Looking again at the face, very young children might mistake the nose on the face for a smile. No mistake, a smile is missing from this face. Seems that right about now, smiles are missing from a lot of faces around the world. We could use more smiles. Let’s talk about smiles and frowns. Thin about this…A smile is a frown turned upside down. Do you agree with me? We need more smiles around the world! Here’s an attentionology trick that’s tailor-made for troublesome times. It delivers a smile made from a frown. 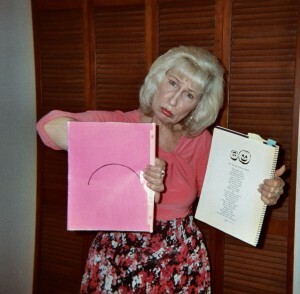 The trick uses a tool that is nothing more than a poem and a piece of bright pink paper. On one side of the paper in dark black marker is a half circle that forms a smile when the paper is held upright to show it. When students seem a bit downhearted, share this trick to focus attention on the bright side of life. Before reading my poem, An Upside Down Smile, (see below) aloud, invite students to listen to how the poem expresses the happiness we can all feel inside. Hold the poem page out to one side with a hand. 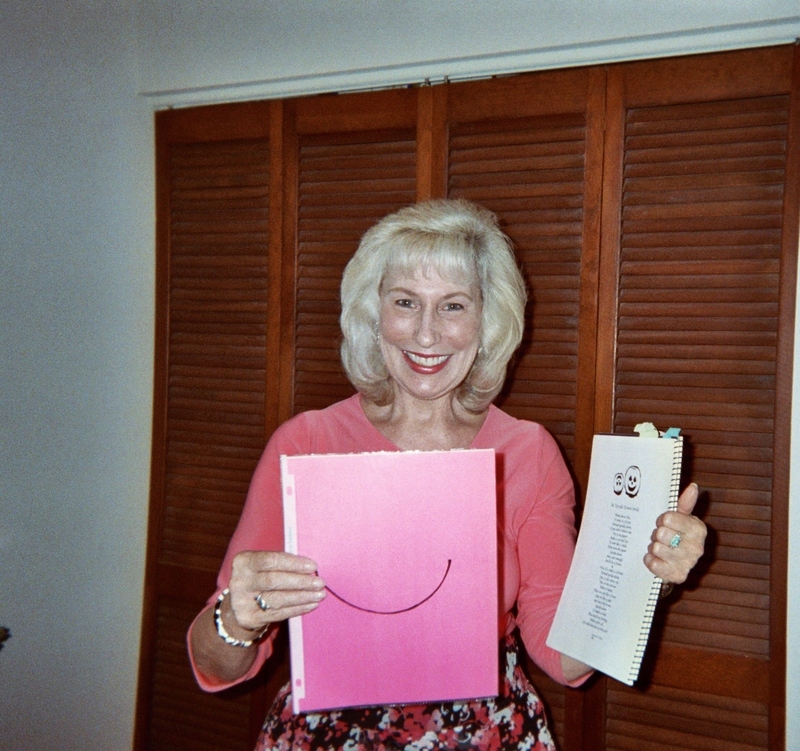 Hold the bright pink page with the drawn smile and frown in the other hand so that you can easily flip the page. A frown is a smile turned in the wrong direction! Children in early grades love the animation of flipping the smiling and frowning sides of the pink paper and the rhythmic beat of the poem. Ask older students if they’ve ever noticed that a frown is an upside down smile and vice versa. As always, much of the success in implementing this and any trick to catch and keep K – 5 students’ attention is dependent on the teacher’s delivery of it. Deliver what’s missing from too many lives in the world today by presenting this smile poem with confidence and the care you feel for your class. You’ll find yourself smiling, too. Please send comments about tools and tricks that you use to restore smiles to children’s faces. ‹ Up and Away…Bright Ideas for Door Decor and More! 1 Pings/Trackbacks for "Guess What’s Missing"